I suggest you get acquainted with one of the most important events in the field of English language teaching. This International Conference IATEFL, held annually by the British Council. IATEFL interpreted as follows: International Association of Teachers of English as a Foreign Language (iatefl.org). IATEFL — a thriving community, which includes more than 4,000 English teachers around the world. The mission of this organization is the idea of ​​»Link, develop and support English Language Teaching professionals». And an international conference is one way to achieve this goal, because it allows you to meet and exchange experiences with the professionals (and there are more than 2000) from 100 countries. Conference lasts 4-5 days, includes more than 500 presentations, seminars and lectures. Very valuable interviews with recognized experts in the field of Teaching English, which are the world-famous authors of books on teaching English. This year, 47 IATEFL Conference held in Liverpool from 8 to 12 April (iatefl.britishcouncil.org). Next year it will be held in the town of Harrogate in the county of North Yorkshire (United Kingdom) from 1 to 5 April. Below are interviews and performances, which are not only interesting to us as teachers, but also very useful to improve our knowledge and skills, and obtaining the necessary relevant experience. Enjoy watching! 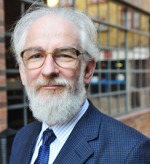 His publications include Learning Teaching (Macmillan ELT) which won the ARELS Frank Bell Prize in 1995, Oxford Basics: Teaching Grammar, Teachers’ Books and Portfolios for Straightforward, two business coursebooks for OUP and he has many articles on onestopenglish.com. 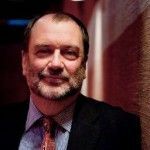 His most recent book, Teaching English Grammar (Macmillan ELT) won the HRH Duke of Edinburgh English Speaking Union 2010 award as «Best Entry for Teachers». The book «Learning teaching» must read each teacher. 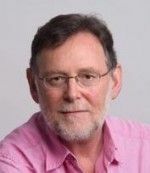 Scott Thornbury (born 1950, New Zealand) is an internationally recognized academic and teacher trainer in the field of English Language Teaching (ELT). Thornbury has written over a dozen books on ELT methodology. Two of these, ‘Natural Grammar’ and ‘Teaching Unplugged’, have won the British Council’s «ELTon» Award for Innovation, the top award in the industry (in 2004 and 2010, respectively). I recommend reading the book by this author: «How to teach speaking», «How to teach grammar». 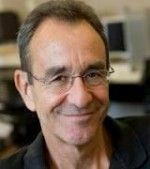 Mark Hancock has taught English since 1984 in Turkey, Brazil, Sudan, and Spain. He has written a number of coursebooks (eg English Pronunciation in Use), teachers’ resource books, and a self-study book. Mark is co-author of Pen Pictures, a writing skills course for young learners, and Winners, both published by Oxford University Press. I recommend reading the book by this author: «How to teach English», «How to teach writing». 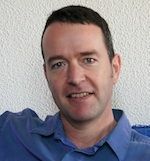 Kieran is a terrific blog called Film-English (film-english.com), in which he regularly puts it created lesson plans that are based on small thematic video. It’s just a storehouse of ideas! This section on the official website of the conference (iatefl.britishcouncil.org) you will find more than a dozen of interesting interviews in which competent teachers share their experiences, give advice and comments on these or other matters of teaching.